I wandered just up Lots Road to visit Tom Faulkner’s fabulous furniture showroom. Well worth a visit to see some beautiful and fine pieces of modern metal furniture. 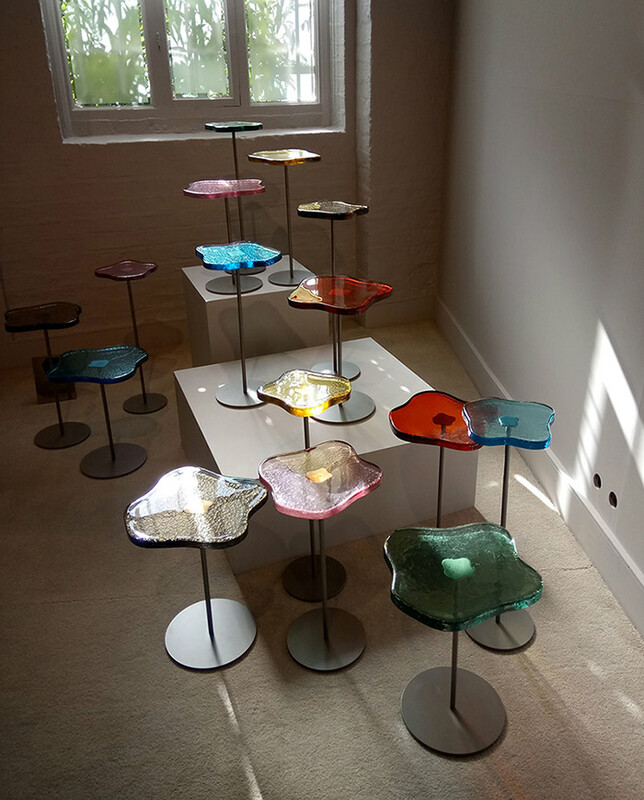 See their website for the main collection: https://www.tomfaulkner.co.uk/ The featured photo shows a trial run of their gorgeous Lily Cocktail tables with Murano glass tops – a stunning and fun addition to any sophisticated interior!